At the Southland Steam Engine Club rally on 09 Feb 2019 I was drawn to this steam roller. An interesting machine and some nice detailing too. Meet “Colleen”. Taken at Brydone near Gore, Southland, New Zealand by Liz (unless otherwise attributed). I’ve heard of steam-rollers being used for a bit of rather unusual printmaking – haven’t actually seen it but it intrigues me! Really? That IS intriguing, hard for me to even imagine! Thanks Ann. I just checked spam thank goodness and found this comment. You’ve only included one link so there’s no way it should have gone to spam. I checked out the link and it was fascinating! I’ve never heard of this being done! Hehe, I didn’t think about the link, Liz! Glad you got to see it – cool, eh? Really cool! A single link isn’t supposed to cause things to go to spam.. crazy!! 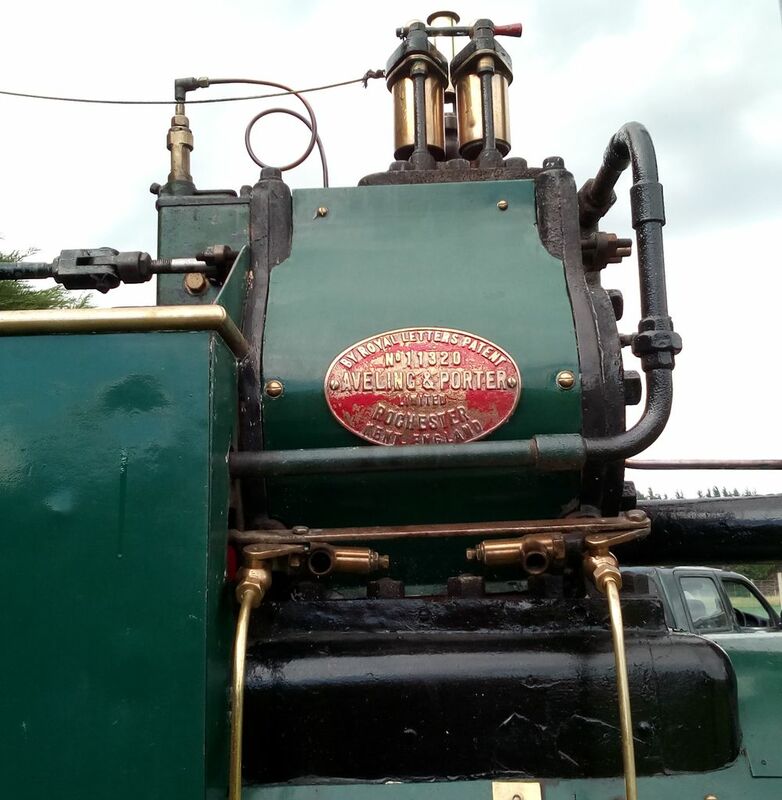 I’m really enjoying your steam engine posts. And it makes me very happy to see these well-crafted machines in running condition. Colleen is looking very well for someone of a certain age. Part of the appeal, is that this machinery is comprehensible. I can actually grasp how double-action steam pistons, worm screws, etc. work, whereas I’ve never clearly understood, say, how a hydrogen fuel cells works. Or even an automatic transmission, even though that technology is at least eighty years old now, and a number of people have tried to explain it to me. Thanks for the feedback Robert, very encouraging! I may have lost some followers with my recent focus on machinery but I’m committed to blogging about whatever takes my interest!